Can the indigenous people of the Amazon take on the modern corporations threatening their natural home, their environment and their cultural lives? Sabrina Bogado and Matias Palma’s 2017 feature length documentary about the anonymous and forgotten societies of the Amazon provides an insightful look at the challenges. 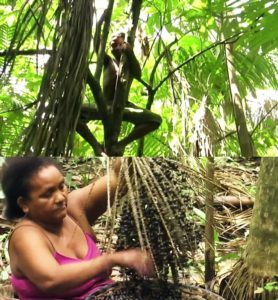 The film explores the virtually unknown civilizations of the Brazilian Amazon and the people who risk their lives to protect their forests. In order to save the forests from the exploitation of the natural environment by big corporations, they’ve had to create legal institutions to fight the battle. It is a story of ancient vs. modern, and the inspiration this film provides can be summed up by saying “with heart and passion, no challenge is too big”. 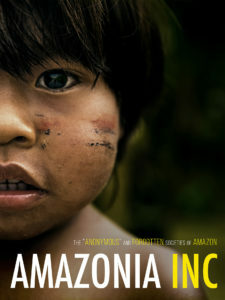 With stunning footage and incredibly intimate access to both the region and the indigenous people of the region, Amazonia Inc. brings the ancient civilization to the forefront as they themselves convey their stories, hopes, cultural traditions and decidedly difficult mission. It is a rare and insightful film.